Repost. Found on Reddit this morning. 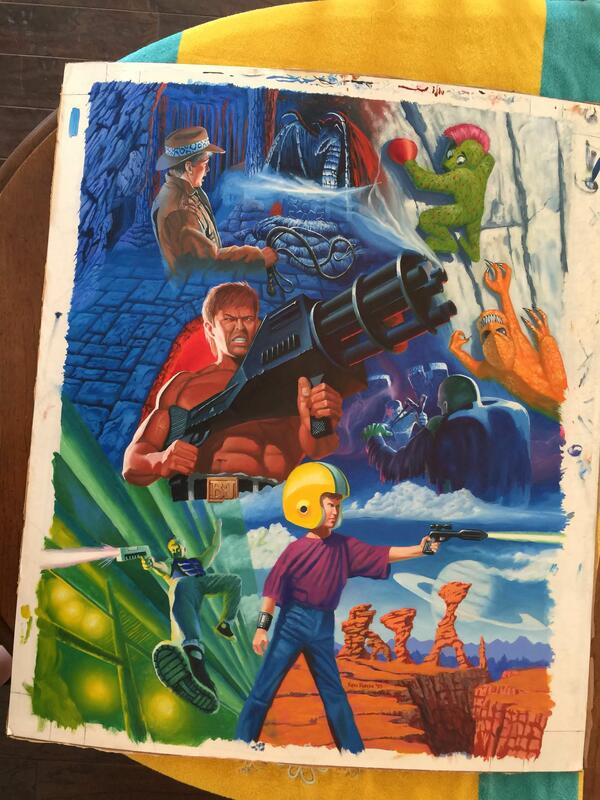 George Broussard‏ (Founder of 3drealms & Apogee) just found an old painting by Ken Rieger in a closet. Was meant to be used for an Apogee catalog. Oh wow. Bill Blaze has matured. Neat find. This is neat, but... I'm sorry, Keen just looks kind of off. His shirt looks like it's pinned to his left shoulder, his face looks flat, his legs look like they aren't jointed properly to his hips and the helmet just looks strange in a way I can't currently specify. It's strange because everything else on the page looks great! It's certainly a mixed bag, methinks varying levels of effort went into each section. I always thought Cosmo was furry myself. Oh come on! Now all of a sudden everyone thinks it's a hairy green Yeti? Ridiculous. I've never thought of that. Even the cover art never suggested that. The only explanation as for why he has fur coating is that all these characters drawn in this pic have matured. 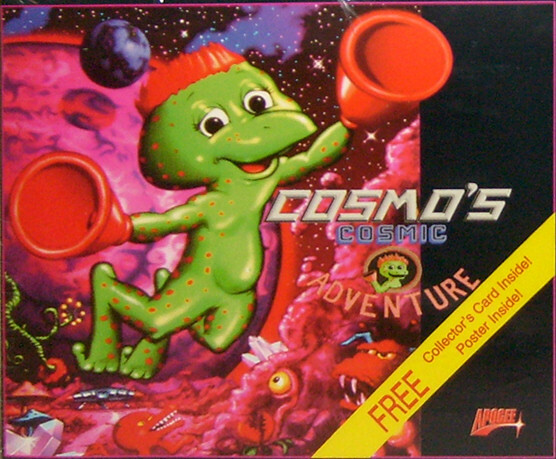 And Cosmo in the games is just a small alien. Small aliens of his kind don't have fur yet, but when they are becoming adults, they begin to grow. And that Cosmo right there is an adult Cosmo with a lot of fur. But hey, that's just a theory. A GAME theory. Thanks for watching. Keen helmet looks unusually big. The face is also strange looking one. The matured Monster Bash kid looks Dante-ish. Last edited by Roobar on Thu Nov 02, 2017 19:49, edited 1 time in total. To be fair Roobar, I never saw the cover art (that I can remember). I was also maybe eight years old when I played that game. I should boot up DOSBox and give it another go. The art for commander keen doesn't really look too good. Perhaps his parents are using epilators. We can speculate more. He could be using some sort of a fur growing chemical in that pic. Or he has hormonal disorder that's causing fur growth. Or these aliens are indeed hair-less, but Cosmo is a mutant who's becoming a Werecosmo when scared, or is becoming King Kong alike (see how's posing just like King Kong). Or that's his Halloween costume/pajama. Or perhaps that fur is his true form, but in the game he's wearing a costume hiding his fur. Or that's not Cosmo at all, but he's hairy cousin. I could go on. To narrow things down we must first discover what the creature below him is, is it in the games? Yeah, his head needs to be further back in the helmet unless he shoved a pillow back there. Also the ear holes are in the wrong spot for that size of helmet. Those aren't ear-holes though, they'd be where the face guard would be fitted on a football helmet, whatever it's called. Either way this is a nice find! And Cosmo has fur, for some reason this upsets me on a personal level and I don't know why.